Asya Pereltsvaig received a PhD in Linguistics from McGill University in 2002. 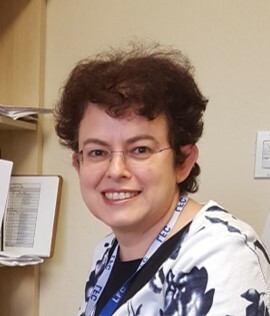 Specializing in Slavic and Semitic languages, she has taught at Yale, Cornell and Stanford University and is the author of three books: Copular sentences in Russian, published by Springer and Languages of the World: An Introduction and, with Matin Lewis, The Indo-European Controversy, published by Cambridge University Press. Ed Battistella: I really enjoyed reading The Indo-European Controversy. What prompted you and your co-author Martin Lewis to write this book? Asya Pereltsvaig: Thank you for your kind words about the book, Ed. Martin and I were driven to write this book by what we saw as an assault on the entire scientific discipline of historical linguistics, arguably the oldest field of linguistic science. We strongly believe that true scientific progress can be achieved only building upon previous work. Yet, there’s an entire body of work now whose starting point is a wholesale dismissal of what historical linguistics has achieved in the preceding two and a half centuries. Not paradigm change, but dismissal. That trend worried us. Even more so, we were concerned about the popular appeal of said body of work, the popularity it had gained in the media. In the era of “fake news”, this is a prime example of “fake science”. That’s why we wanted to sound an alarm, and why we intended the book to be read not only by specialists in the field, and not even primarily by specialists, but by the general public as well. EB: You note that the history of IndoEuropean has been steeped in race and ideology since its inception. Could you discuss an example or two? AP: The prime example is, of course, what happened to the idea of Indo-Europeans, or Aryans, in the twentieth century. This scientific construct was taken out of context, in fact out of the academic environment, misinterpreted and placed as a cornerstone of the racist ideology of Nazism. For Nazi ideologues, Aryans were not just speakers of a long-ago dead language, a scientific construct of sorts, but a race, and a superior one at that. We all know what tragedy that instance of ideologizing a scientific concept led to. But the conflation of race, or blood, and language started long before Nazism. Already in the middle of the nineteenth century, people like Arthur de Gobineau claimed that Aryans were a race, one that founded many civilizations in the Old World, and perhaps a few in the New World as well. According to Gobineau, the Aryan race later mixed with other races and consequently was in danger of losing its purity and, with it, its superiority. It is easy to see how these ideas led to the ideology of Nazism. In the book, we warn time and again against the conflation of language and “blood” (be it construed as race or DNA), echoing Max Müller’s sentiment that “an ethnologist who speaks of Aryan race, Aryan blood, Aryan eyes and hair, is as great a sinner as a linguist who speaks of a dolichocephalic dictionary or a brachycephalic grammar”. But while “race science” pretty much ended (at least in the West) after World War II, the conflation of biological attributes (the “blood”, DNA, or “race”) with cultural attributes such as language or ethnicity continues to this day. It’s become very popular to get tested for one’s genetic ancestry, but I think many people completely misinterpret the results of such tests as showing one’s ethnicity, a cultural rather than biological concept. 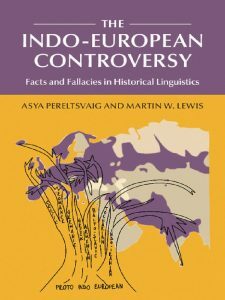 Similarly, most people who speak an Indo-European language today are not biological descendants of the original Indo-Europeans, but the cultural importance of the latter cannot be underestimated. EB: Your book also offered a fascinating discussion of different theories of the spread of Indo-European, including one related to cannabis cultivation, which was new to me. What was that about? AP: I don’t know if I’d call it a “theory”, but there is this idea, originally from the anthropologist blogger Al West, that the spread of Indo-European languages was stimulated by trade or exchange of such intoxicating substances as cannabis or what the Rigveda calls soma. Geographically speaking, West’s idea aligns with what we called the Revised Steppe Theory: that the Indo-European languages originated in western Eurasian steppes (roughly, present-day southern Russia). Most scholars who subscribe to some version of the Steppe theory describe the contacts between the original Indo-Europeans and their non-Indo-European neighbors, who were probably sedentary farmers, as driven either by violent attacks on the part of the Indo-Europeans or by trading horses (presumably, domesticated first by the Indo-Europeans) and other animal products. West suggests that the spread of cannabis, and of other recreational or spiritual drugs, could have been a factor in the contact between the original Indo-Europeans and their neighbors. We mention this idea in the book in a somewhat tongue-in-cheek manner, but the goal is serious: to show that the Steppe theory does not automatically mean that the Indo-Europeans were marauding warriors brandishing blood-drenched swords. Maybe they were much more peaceful pot-smoking proto-hippies. EB: You mention several misconceptions in the modeling associated with Russell Gray and Quentin Atkinson, which proposes an Anatolian homeland. What is the biggest flaw, in your view? AP: The biggest flaw of the Gray-Atkinson school of computational phylogenetics, we think, is exactly what prompted us to write this book in the first place: their wholesale dismissal of foundational facts about language change and language relatedness. As far as we can tell, their work is driven by the idea that a computer can give a better answer than two centuries of research by human scholars ever could. While we are not against computational linguistics in general, or computational methods in historical linguistics in particular, we strongly believe that a computer can give an answer only as good as the algorithm it uses and the data that serves as its input. In our book, we stayed out of discussing the computational algorithms—there’s a separate body of work that deals with that issue—but we discuss in great detail the kinds of data that the Gray-Atkinson school uses, be it linguistic data or geographical data. One of our biggest criticisms is that the Gray-Atkinson research program relies completely on lexical material. While they claim to take into account lexical borrowing, we show that a fair amount of it might have slipped between the cracks of the model anyway: it is exactly those languages that are known to have borrowed many words from other languages that are misanalysed as differentiating earlier than we know from the historical record, from analyzing grammatical changes, or from genetic findings. A prime example of that is Romany, the language of the Roma people. According to the Gray-Atkinson model, it differentiated from other Indo-Aryan languages around 1500 BCE, while other research in linguistics and genetics points out to a much later date, around 1000 CE. That’s a gap of two and a half millennia! The biggest reason for this erroneous dating of the Romani split, we think, is that this language borrowed a great deal of its vocabulary, including basic vocabulary, from other languages: Greek, Armenian, Persian. In other words, it’s distinctive because of extensive horizontal transfer, not early diversification. Other languages that the Gray-Atkinson model erroneously treats as having separated too early include Russian and Romanian, both of which also borrowed heavily from other languages. EB: With respect to Indo-European studies, what stills needs to be done? What are a few of the key open questions? AP: It is fascinating that the Indo-European question has been studied for so long and so extensively, and yet so much still has to be figured out. One of the key open questions, I think, is the mid-level organization of the family. Since the late 1700s, it’s become pretty clear that this wide range of languages, extending geographically from Icelandic to Sinhala in Sri Lanka, all belong to one language family. Low-level organization of the family—within the so-called “benchmark groupings” such as Germanic, Celtic, Romance, Slavic and so on—is also pretty well-understood. However, there’s less agreement as to how these benchmark groupings relate to one another: for example, are Slavic languages more closely related to western European groupings like Germanic or to Indo-Iranian languages? How do Greek, Armenian, and Albanian (each of which forms a benchmark grouping of its own) relate to the rest of the Indo-European family? And so on… This is the area of Indo-European phylogenetics where novel approaches are most welcome. However, approaches such as that of Gray and Atkinson, which fail to reproduce the low-level organization of the family, are hardly reliable to give us answers about the mid-level organization. EB: What else are you working on? AP: Lately, and partially as a result of working on this book with Martin Lewis, I got interested in language contact. As I mentioned above, contacts between languages cannot be overlooked when one examines language change. And yet, contact linguistics is a relatively new field and there’s still a lot to be done there. Being a syntactician by training, I’m particularly interested in the effects of language contact on grammatical changes. The specific empirical problem that caught my attention is the historical changes in the syntax of Yiddish, a language that my grandparents spoke but which, sadly, got lost somewhere between our generations. Besides this personal connection to the language, my research was driven by the fact that Yiddish is a prime example of language in contact. The specific phenomenon I’m investigating is the extension of the Verb-Second model from embedded to main clauses. Like so much that’s happened in Yiddish once it spread to Slavic-speaking territories in Eastern Europe, this phenomenon was suggested to have originated from contact with Slavic languages. But… Slavic languages do not have the Verb-Second model in either main or embedded clauses, so it seems paradoxical that they would produce such an effect on Yiddish. Also, I was intrigued that this happened only in Yiddish but in no other Germanic variety spoken in Slavic-dominated areas. 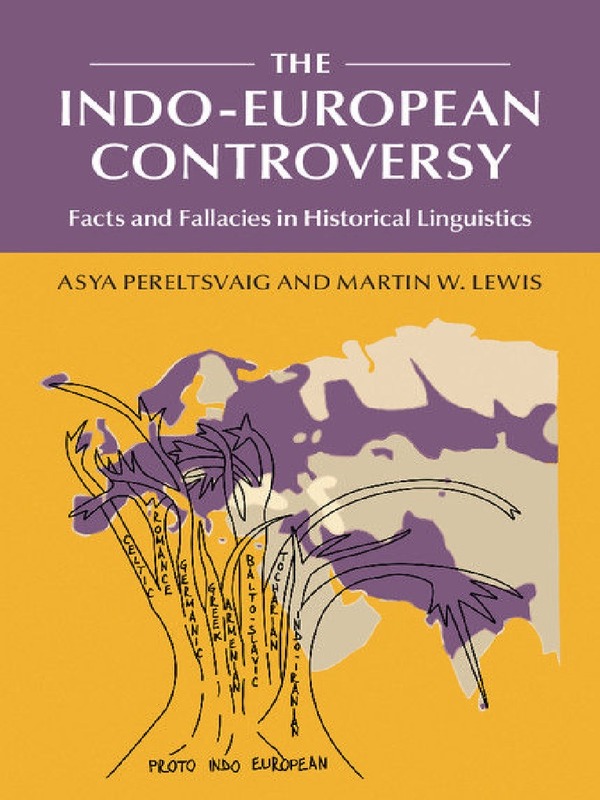 This research led me to build bridges between historical linguistics and historical, geographical, demographic, anthropological, and genetic research, again linking with the Indo-European book that Martin and I wrote earlier. AP: Thank you for inviting me to speak about the book. It’s been a pleasure talking to you.